The company controlling the National Broadband Network has issued a warning to customers about scammers impersonating the company. The advice, issued by NBN Co on Monday morning, follows an 84 per cent increase in enquiries about suspected scams made to the wholesaler’s contact centre since October 2018. About 28 per cent of those calls came from residents in NSW, 24 per cent from Victoria and 19 per cent from Queensland. NBN Co’s Chief Security Officer, Darren Kane said customers needed to be vigilant about how they correspond with their internet provider. 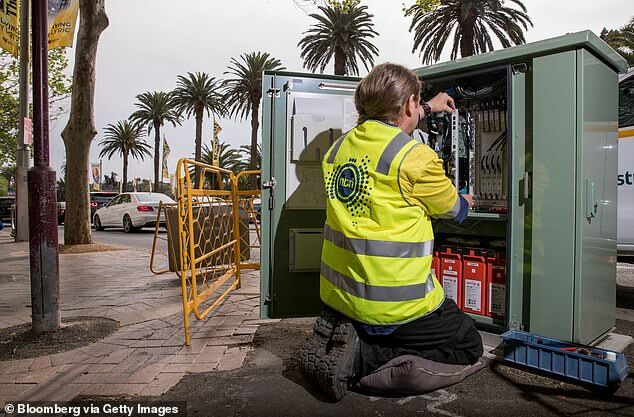 ‘With nearly three in four homes and businesses now able to connect to the nbn access network, it’s vital people understand the steps involved in making the switch, including how and when NBN Co and retailers will communicate with customers,’ he said. 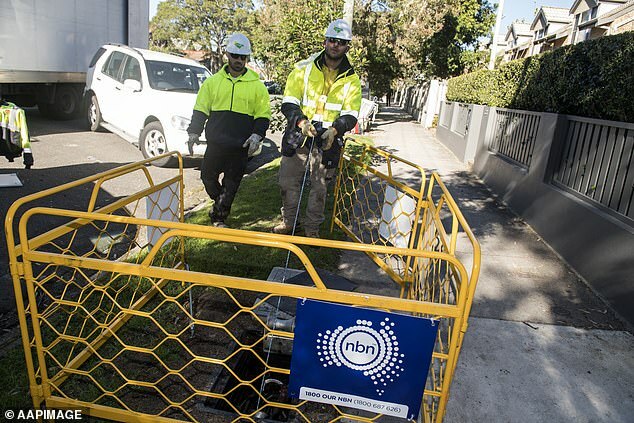 ‘It’s important to remember the key point of contact for Australians connecting to the nbn access network will always be their preferred phone and internet service provider. He said people looking to make the switch needed to be aware it is not done automatically and they need to contact their provider by phone. ‘We urge residents and businesses to be vigilant of callers claiming to be from NBN Co requesting personal or financial information,’ he said. He also said it was important consumers knew that they never request remote access to computer and will never ‘make unsolicited requests for payment or financial information’. ‘Protect yourself by verifying who are you are talking to. If in doubt, hang up and call your retail service provider customer service centre to check if the call is legitimate,’ Mr Kane said.